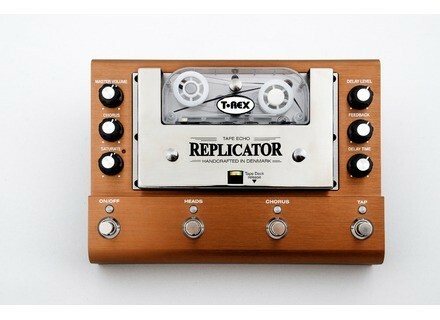 Replicator, Delay / Echo from T-Rex Engineering. Musikmesse visitors can discover at the T-Rex Engineering booth the Replicator echo/delay pedal with a real tape onboard. 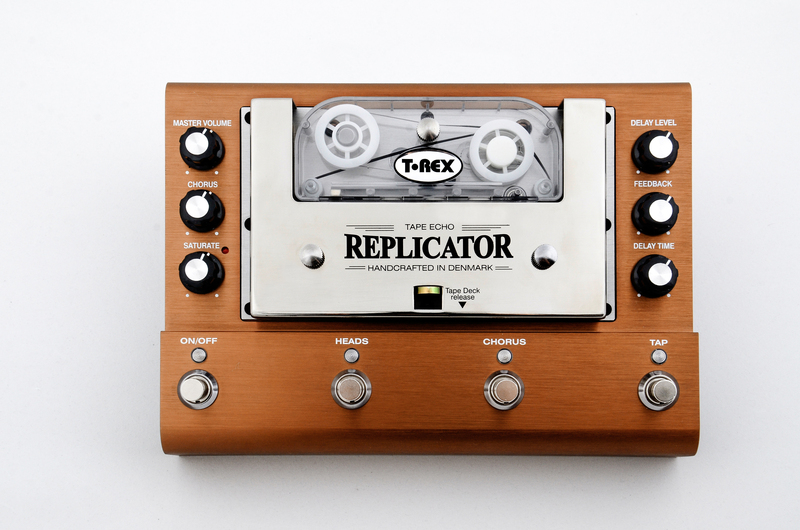 The R-Rex Replicator, or better said its prototype, had been shown in January at NAMM but the team worked hard so that they can now demo this new pedal at Musikmesse. The Replicator uses a real chrome magnetic tape mounted in a replaceable cassette, with two heads and the ability to disable the second one. T-Rex also included a tap tempo circuit that works with a step-by-step engine as well as switchable chorus, a sustain, and you can footswitch the delay, the second head, the chorus and tap. The pedal features Master boost, chorus, saturate, delay time and level and feedback controls. It can also receive two 1/4” expression pedals to control the feedback and delay speed. Of course, the Replicator requires a 24 V power supply which is provided. The Replicator will be available this summer for an MSRP of $799. [Musikmesse][VIDEO] Avid Venue S6L We met the Avid team at Musikmesse for a presentation of the new Venue S6L live digital console.